Buy-to-let landlords who scrambled to acquire homes earlier this year are beginning to rent them out or now looking to re-let them following the end of a tenancy, providing tenants with a flood of properties, new research suggests. A record number of sales took place in March, as buyers tried to beat the introduction in April of the 3% stamp duty surcharge for those looking to acquire additional properties, including buy-to-let homes. That has resulted in a sharp rise in rental properties being listed in November, according to new data from Countrywide. Johnny Morris, research director at Countrywide, said: “Higher than usual numbers of homes available to rent has boosted tenants’ negotiating power. Stock growth has outstripped that of tenants. This is in part due to the hangover from the rush to beat the 3% stamp duty charge earlier in the year and a shift in stock from the sales market. London, in particular, has seen rental listings surge, narrowing the gap between rents in the capital and the rest of the country for the first time since 2010. 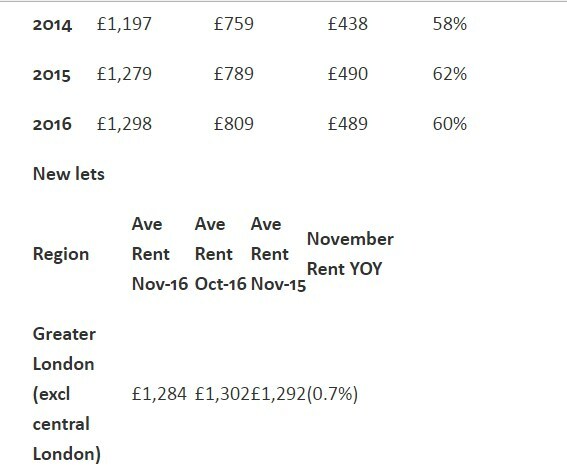 In November, the average London rent was 0.7% lower than last year, the steepest decline since October 2010 when the average rent stood at £901 a month. Over the course of the last 12 months, London has gone from the region with the second fastest rate of rental growth in Great Britain to the slowest. 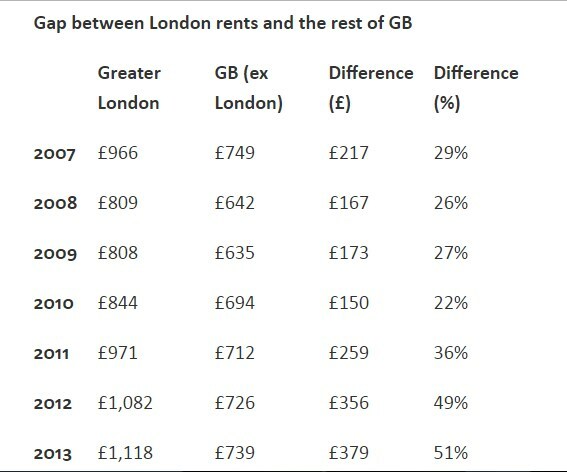 The gap between rents in London and the rest of Great Britain has steadily grown over the last five years. By 2015, the gap had reached a record £490 a month, up from £150 a month in 2010. However, with rents in the capital now growing at a slower rate than in the rest of Great Britain, the gap between London and the rest of the country has narrowed. Last month, the gap had dropped to £489 a month, the first fall since 2010, fuelled by a significant rise in housing stock. Rents in the capital currently stand 60% higher than in the rest of Great Britain. 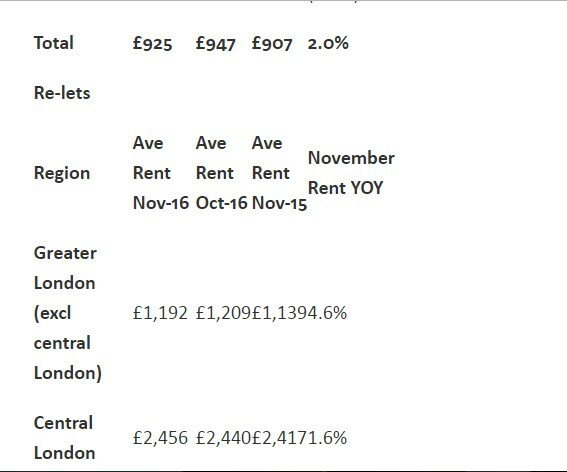 In November, there were 32% more homes to rent in London than 12 months ago while the number of would-be tenants rose by just 9%. 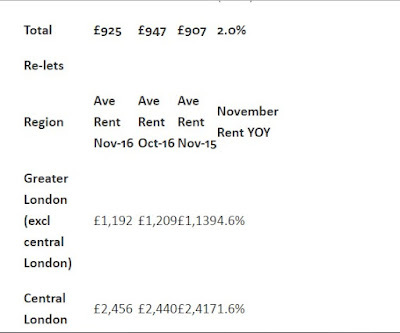 Over November the asking rent was cut on 11% of homes let in London, more than double the proportion in 2015 (5%). 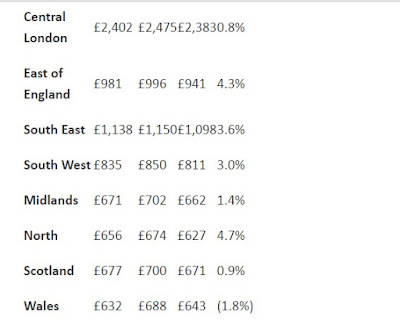 Across the country the cost of a new let rose by 2% over the last 12 months, or 3.1% if London is excluded. 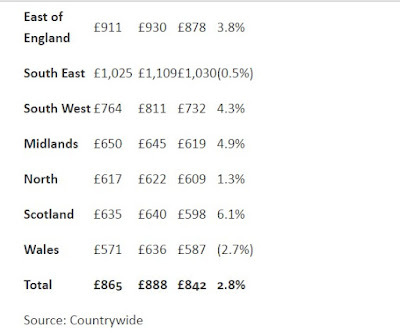 Rental growth has been driven by Northern England; the North East, North West and Yorkshire & Humber. 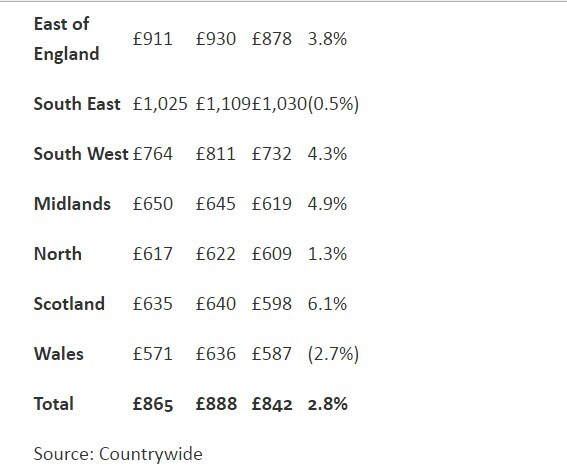 Taking these three regions together, rents have risen faster than in any other part of Great Britain. 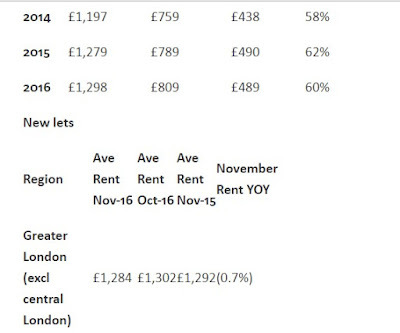 Some 25% of tenants renewing their contract in Northern England saw their rent increase in November 2016, up from 16% in the corresponding month last year.